TROY — Craig Bundschuh, of Covington, is the UVMC Foundation’s new board chairman, effective Jan. 1. Bundschuh assumes the chairmanship from Michael Gutmann, of Piqua, who served as board chairman in 2017 and 2018. Bundschuh spent the majority of his career in community banking in Miami County. 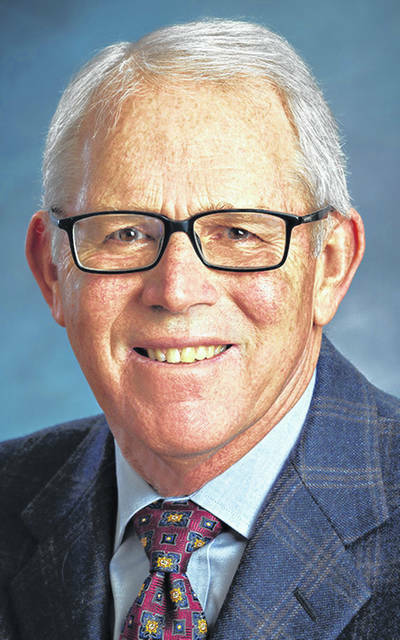 He retired from Wright-Patt Credit Union in 2015, where he served as mortgage division business development manager. He holds a bachelor’s degree in business education from Ohio University and a Master of Business Administration in finance from Wright State University. Bundschuh has been associated with the UVMC Foundation for 20 years. He retired from the UVMC Board of Directors in December after 20 years. He served as that board’s chairman in 2017 and 2018.